Bank of United States closed and taken over by NY State Banking Dept. ; had about $202M of deposits, 400,000 depositors, and 23,000 stockholders. Despite size, “highest banking authorities” assure it is “isolated local situation,” closing is likely to eliminate recent uncertainty. Merger with stronger banks had been attempted for weeks, ultimately abandoned at 4 AM Thursday; a run on the bank developed, leading to closing. NY Clearing House (bank assoc.) admits Manufactures and Public (two banks in the aborted merger), announces it will loan depositors 50% of net balances at 5%. Bank of U.S. was started in 1913 with $100,000 of capital, grew rapidly after the war. Rep. McFadden notes bank was incorporated in NY State, and is not connected with the US govt., though it is a Fed. Reserve member bank. Editorial: Closing of Bank of U.S. was no surprise; bankers have been working for weeks to avoid failure. When failure became inevitable, leading banking interests worked strenuously over the past several days to smooth out the situation; the Clearing House assoc. of banks established a fund to lend depositors up to 50% of their claims, giving them substantial immediate relief. This action indicates the banks believe problem is isolated; otherwise they wouldn't commit such a large sum to help depositors in just one bank. Bank depositors in general should remember this is the first major bank failure since the 1929 market panic and not jump to false conclusions about other banks; in fact, this event may help by relieving the state of tension that has hung over the market for the past few weeks. Washington report: House seen exerting check against some of the more extravagant bills passed in Senate. Wets pleased at dry opposition to national referendum on Prohibition. Farm Board more confident on ability to stabilize wheat at current level, believes price will then naturally rise due to supply and demand. Farm Board chair. Legge says opposed to Sen. Capper's plan to give 40M bushels of wheat held by Board to needy families; says throwing that much wheat on the market would require Board to reenter market to keep prices where they are. Editorial by T. Woodlock: Sentiment against short selling commodity speculators is misplaced; futures markets provide an essential insurance function at low cost (in fact, probably at negative cost since speculators as a whole lose money). The “wider and freer” the market is, the less the insurance will cost. Oil deposits found in “Persia”; preliminary find in Bolivia. Cuba declares martial law due to public disorder, clashes between students and police. [Strangely familiar dept.] Mayor Mackey of Philadelphia asks landlords and mortgage holders for three month “moratorium” to help needy. Rep. Edward (D, Ga) introduces bill suspending Land Bank foreclosures for two years. Pines-Winterfront Co. now experimenting with device for rear of car indicating direction driver intends to turn. Market wrap: Market opened relatively calmly after Bank of US announcement, but selling picked up momentum as morning progressed, becoming heaviest since early Nov. Weakness began in rails, spread to other sectors. Rally started in early afternoon with US Steel again leading, but was insufficient to prevent new 1930 lows for all three Dow averages. Bond market continued liquidation; corp. declined with many new lows; US and foreign govts. mostly steady but S. American weak. Commodities weak; cotton at new season lows; Farm Board continued wheat support. Stocks of banks involved in the 4-bank merger ended down sharply (Bank of US, Public Nat'l, International, Manufacturers). Market observers still caution against going short, note market has acted quite well considering adverse news. Today is 16th anniversary of re-opening of stock market during World War; exchange was closed between July 30 and Dec. 12, 1914. Stocks jumped dramatically on the reopening; GM closed up 27 1/8 points to 86, Bethlehem Steel 12 points to 42. Number of stockholders in US now estimated at 10M - 15M (not including bonds) vs. about 2M in 1901; may account for large influence of stock market on public sentiment. Number has continued to grow this year as reported by major cos.; for example, at start of Nov. AT&T reported 555,794 stockholders, up 63,706 from Mar. 31; GM 261,500, up 43,108; GE 109,757, up 36,910. “Trends of stock and bond prices this month do not encourage expectations of brilliant reports by investment trusts” [similar to mutual funds]. Some rail shares are now nearing 1921 prices; on the average, rails now are financially stronger, paying higher dividends, and many will have earned their dividends in 1930, a highly unsatisfactory year. Steel industry closes the year with under 40% of furnaces active. This has happened 3 times previously this century; all 3 times, the industry showed pronounced improvement the next year. L. F. Rothschild & Co. say prospects improved for rubber industry in 1931, as long as manufacturers can cooperate, avoid unfair competitive practices. S. Insull, utility leader, says govt. relief activities shouldn't be carried too far; people can best work themselves out of the depression unaided. Insurance interests report higher borrowing on policies in the past 12 - 14 months; a year ago the funds were needed because of the market break, but in recent months they've been used for necessities. E. Reeser, Amer. Petroleum Inst. pres., criticizes proposals requiring oil cos. to divest pipelines; says this won't benefit rails, since better and cheaper transportation methods become established regardless of injury to older methods; compares to stage coach hostility to rails. E. Filene, Boston department store owner, calls for “Sell Now” campaign to reduce unemployment; producers and distributors should make prices low enough on popular items to stimulate buying. Dow average of 40 bonds set a 1930 low at 93.28 vs. prev. low of 93.69 on Jan. 23. Dow made new post-panic low. There were no new yearly highs and 204 new lows. Electric output by US light and power industry for week ended Dec. 6 was 1,729 GWHr vs. 1,680 in prev. week and down 3.9% from 1929. Fed. Reserve reports money in circulation Dec. 10 up $41M to $4.656B, total Reserve Bank credit outstanding up $26M to $1.134B. Member banks in NY City report brokers' loans down $12M to $2.099B vs. $3.425B in 1929; loans on securities to non-brokers down $4M to $2.041B . Treasury $150M 6-month 1 3/4% certificate attracted $959M subscriptions, while $250M 1-year 1 7/8% had $517M. French retail price index was up 10 to 647 in Nov., while wholesale index was down 15 to 504; since April, retail index is up 60 while wholesale is down 54. British Nov. imports were 79.4M pounds vs. 90.9M in Oct. and 108.2M in Nov. 1929; exports 44.1M vs. 46.9M and 63.1M. Chilean govt. raises tariffs on 447 articles, including many US exports. Montana crude oil producers unable to dispose of their crude; some producers say they will have to pump oil out on ground when available storage is filled. F. Perkins, NY State Industrial Commissioner, reports NY factory employment dropped 3% from Oct. to Nov.; index was 80.6, (avg. of 1925-1927 = 100). A&P sales in Nov. were $79.8M, down 4.6% from 1929; first 11 months $980.9M, up 4.3%. However, Nov. weekly tonnage sold was 99, 935 vs. 95,277. Companies reporting decent earnings: Dominion Textile (largest cotton textile co. in Canada, benefitting from new tariffs), Patterson-Sargent (paints, varnishes). The New Yorkers - “One of the gayest musical comedies ever to come to town. Swift, witty, resplendent,” featuring design by Peter Arno, songs by Cole Porter, talents include Hope Williams and Jimmy Durante “the plenipotentiary from the cabarets ... whose hilarious revels confound all the deep thinking the moment he unveils his proud 'schnozzle. '” While “many present on either side of the footlights” are unconscious of it, The New Yorkers does feature a plot, concerning the amour of a Park Avenue heiress for a racketeer trying to corner the caviar market; settings shift from the Club Toro on Broadway, to “a midnight restaurant where they name a sandwich for you after a third visit,” to Sing Sing, and finally to the racketeer's villa in Miami. [Strangely familiar dept.] Preparatory Disarmament Commission at Geneva finishes outline of treaty for world arms limitation; conference expected early in 1932 to work out final details. Editorial: After four years of work, the Commission frankly reported on results, warts and all. It's unfortunate “escape” clauses were included in the outline draft as in the London Naval Treaty, as well as “interminable foot-note reservations.” Much will depend on the League Council meeting Jan., where the report will be taken up; hopefully at this time action will be taken to resume international financing, and calm political uneasiness. Recent recurring rumors of various international debt relief plans denied by officials. NY City and transit co. reps. consider formation of city-controlled private operating co. to unify independent rapid transit systems. [Currently 3 verified WWI veterans survive, aged 108-109, all from the Allied side.] Death of Rep. Stedman, last Civil War veteran in Congress, has started speculation on how long the last veteran of the World War would survive. Last soldier in the Revolutionary War died 86 years after its end; last one in the War of 1812 died 91 years later. Based on this pattern, last soldier in the Civil War would die between 1951 - 1956, and last soldier in the World War would die between 2004 - 2009. Air mail service between Winnipeg and Fargo or Grand Forks likely soon; this will be last link in air mail service running from Aklavik on the Arctic coast to South America; also would ultimately bring Winnipeg within 5 1/2 days flying time of London via the proposed transatlantic airmail route. The Florida Special, now an institution in its 44th year, has become one of the world's finest tourist trains. It leaves Penn. Station at 10:20 PM daily, taking a sea-level route to the South. The fruits and vegetables served on board are grown in Florida. Market wrap: Stocks steady early; weakness developed in rails and spread across the list after US Steel unfilled orders were announced at noon; many new yearly lows; vigorous rally developed just before close. Bond market volume low; US govts. steady to slightly lower; foreign govts. moderately lower; corp. weak with many new lows; selling intensified near close. Commodities generally weak; cotton at new season lows; copper reduced to 11 cents by large producers. Dow Jones average of 40 leading domestic corp. bonds was 93.73, down .42 and close to yearly low of 93.69 reached in Jan.
Bank stocks only fractionally lower on the day. US Steel received powerful support just above year's low at 138, rebounded to 141. Market students believe some tax loss selling may extend into next year to offset 1931 incomes. Middle West Utilities Nov. survey of crop and industrial conditions in territories it serves: Slight improvement in some sections although general conditions still far below normal; state holding up the best is Maine. C. Chester, General Foods pres., notes general feeling commodity prices have bottomed; sees many cos. starting to buy raw materials in large quantities. H. Scandrett, Chicago, Milwaukee RR pres., not expecting sudden turnaround, but sees turn for the better in spring 1931, and gradual improvement from then on. US Steel unfilled orders up 157,873 tons in Nov. to 3.640M tons, higher than expected and largest Nov. increase since 1925; industry opinion more optimistic due to gain in forward demand and inquiries. However, scrap prices and current production continued weak; US Steel ingot production for week ended last Monday was at 43% vs. 45% prev. week and 65% in 1929; independents were at 34%, vs. 35% and 62%; industry total was 37%, vs. 39% and 63.5%. Bonds, notes, and stock offered by domestic and foreign corps. in Nov. were $156.4M vs. $208.0M in Oct. and $390.6M in Nov. 1929; lowest total since Sept. 1923. Market value of all NYSE traded securities on Dec. 1 was $53.312B, down $1.714B from Nov. 1; brokers' loan ratio was 4.06%, down .59%. Car companies reportedly have cut costs to greatly reduce production volume needed for profitability; in some cases minimum volumes have been cut 30% or more. Industry seen positioned to profit quickly on any rise in production. European report: German unemployed Nov. 30 were 3.762M vs. 3.253M on Oct. 31; increase was seasonal. British registered unemployed Dec. 1 were 2.306M vs. 2.286M Nov. 24 and 1.303M in 1929. British exports of gold continue; recent French withdrawals attributed to provincial banks in Bordeaux, where four brokerage houses failed. Political unrest in Spain continues; 48 hour general strike declared in Valencia. Standard Oil NJ reduces price of diesel fuel 15 cents/barrel to $1.85 - $2.05. Companies reporting decent earnings: Bangor & Aroostook RR (against industry trend, benefitted from large 1929 and 1930 Maine potato crops), Equitable Office Bldg. Gleaner Combine Harvester omits $.50 quarterly dividend; as recently as Oct. 6, chairman had predicted a dividend increase if earnings held up. Stock now about 8, earnings for year ended Aug. 31 were $3.65/share. RCA Victor denies inventory problem, says production is adjusted weekly according to sales reports. Igdenbu, or The Siberian Hunter - produced by Vostokkino in Russia, with native Siberian actors. Title character represents skepticism of youth, contrasted with superstitions of the aged, personified by tribe Shaman. When rain threatens salmon supply, Shaman begins incantations but Igdenbu goes to city for help; while away, his wife is seized by a trader who had been promised the salmon; she is soon rescued by Soviet officials and put in an institution for homeless girls; Igdenbu finds her there and takes her back to the tribe on the steamer bringing aid from the govt. Numerous intimate glimpses of animals seeking food and shelter from winter cold; fortitude of the tribe while enduring starvation before Igdenbu's return is portrayed in striking pantomime. OK, many of you probably think Tiny Tim made this song famous, but here's the performance that first made “Tiptoe Through the Tulips” a hit, from the 1929 Technicolor musical Gold Diggers of Broadway. [Strangely familiar.] Editorial: With promises of political truce still fresh, Congress is starting to give signs of a gathering logjam. Problem isn't the party leaderships so much as “innumerable parties and subparties, ... each convinced that only its own projects are the cure for what ails us.” Congress must seek common ground for immediate action, even if this means compromise and adding to some programs later. Italian Stefani news agency denies reports in French newspapers that France was offering Italy large loans to abandon its friendliness with Russia; states Italy has no need of and doesn't seek foreign loans. Italy reportedly arranging to import all wheat from Russia as before the war. Bank of Japan expected to issue 500M yen notes in Dec. vs. usual 250M; inflation seen inevitable. Bank conditions generally very weak. [Now about 127M.] Japanese census reports population of 64.447M, up 4.017M in five years. [Now about 13M.] Province of Buenos Aires population 4.092M, almost doubled since 1914. NY State Conservation Commissioner estimates reforestation program will increase state wealth by $300M with expenditure of $20M. Bus transportation has grown phenomenally in past few years; Greyhound Lines started in 1926 and in 1930 will carry about 22M people 125M motor miles. Bus travel is cheap and increasingly comfortable; now have “individual reclining chairs upholstered with air cushions,” heating, and porters. German scientists construct 86-foot diameter balloon for use of “aerologists”; expected to ascend to 9 mile height, carrying researchers equipped with oxygen. German scientists have developed process for making cotton-like product from iron; feels and burns like cotton though blackish in color. Sir Giles Scott designed “sun-trap” apartment house just built; in heart of London, but “providing ... every room with a good supply of natural daylight.” Building has a number of notch-like insets in outer walls, with sides angled to admit as much sunlight as possible. Market wrap: Stocks opened with heavy selling in first hour, then staged a recovery, with major industrials generally rising above Monday's close; market remained mostly steady through the afternoon. Bond market more active; almost all classes weak, with sharp declines in many corp. issues and even US govts. down slightly. Commodities narrowly mixed; cotton down to new season lows. Goldman Sachs Trading Corp. declined to new record low of 7 3/8 after recent rally to 13; holds large position in Manufacturers Trust, one of the 4 banks in the aborted NY bank merger. Bears seen mounting test of last month's lows; market observers watching closely for signs of support; if majors are supported above the lows, trading range would be established and new buying should develop. Fed. Reserve member banks' time deposits have declined to $7.372B in the latest report vs. $7.577B Oct. 29, counter to usual seasonal pattern. This may be causing banks to sell some securities, and may account for recent weakness in the bond market. Banks haven't been reducing loans on securities significantly. [I'd really like to know what all these rumors about the big interests were based on.] Whaley Eaton Washington letter: “The great industrial leaders and financiers have more at stake than any others, and they are not twirling their thumbs ... They are doing a tremendous amount of work. The economic system has not toppled over and is not going to. This is a typical trade depression and it will disappear just as others before it have.” Sees positives in: extensive liquidation already accomplished; financial situation “incomparably better than it was a year ago,” with Fed. Reserve “magnificently buttressed”; adjustment to new price ranges and equilibriums progressing. Col. Ayres of Cleveland Trust now sees 1931 as year of slow business recovery, with activity still below normal at end of year. However, sees fair prospect “it will be characterized by progressive improvements, instead of by recurrent declines.” This business depression “has been very much more severe than anyone expected,” but records of the past half-century indicate improvement next year; by our records, businesses has never declined for so long and to such low levels and then postponed a definite recovery for another year. Farm Board defenders say current wheat stabilization has better prospects due to higher expected demand for use as feed. F. Baine of Richmond, Va., member of Pres. Hoover's unemployment committee, outlines troubles of South: business depression not as severe as in rest of US, but also suffering from drought, low commodity prices, bank failures, and the transient problem in Florida. Calls for end to delays of Federal projects already authorized. US Steel has attracted strong support when it nears the 140 level (with a $7 dividend, it then yields 5%). Support attributed to “prominent industrialists and banking interests” on early 1931 prospects, and expected rise in unfilled orders to be announced today. New York bank merger called off; stocks of banks involved (Public, Bank of US, Manufacturers, and International) were slightly higher. Rail freight loadings for week ended Nov. 29 were 702,035 cars, down 77,672 from prev. week and down 134,225 or 16% from 1929 week. New Nov. car production estimate of 124,000 called too conservative; industry expects final total to be closer to original 146,000 estimate vs. 154,585 in Oct. Gasoline stocks at refineries Dec. 6 were 37.742M barrels, up 455,000 in week; refineries operated at 61.2% vs. 62.9% prev. week; oil production was 2.229M barrels/day, down 36,650 from prev. week and down 401,300 from 1929. Wholesale gasoline prices continued to weaken over the past several days. 1930 airplane production estimated about 3,000 vs. 6,034 in 1929; deliveries in the first 10 months exceeded production by about 391. Machine tool inquiries reportedly encouraging, though trading hasn't markedly changed. Silver breaks to record low of 33 cents/ounce; attributed to Chinese selling to get gold exchange. Justice Dept. to investigate reason for spread between wholesale price of bread and cost of raw materials. Editorial: Cotton prices and market action should encourage cut in acreage planted; Farm Board is campaigning for this, as are some banks by denying credit. However, although “statistics and prices do point to the necessity” for a cut, this may “mean for the farmers to jump from the frying pan into the fire.” There aren't obvious alternatives for use of the idled land; also, foreign competitors have been growing and would likely take more of the market. Ford production continues inactive, with rumors of a complete shutdown for the second half of Dec. and well into Jan. This contrasts with renewed activity at Chevrolet, Pontiac, and other makes. A group of almost 100 old American temperance prints from 1829 - 1875 that “cannot fail to amuse,” including The Drunkard's Progress (from first glass to death in the gutter), portraits of Carrie Nation, temperance rally broadsides, etc. The Guelph Treasure - a “surpassingly beautiful” collection of medieval ecclesiastical objects dating from 1030 - 1483. Portraits of dogs by Diana Thorne “in her inimitable pleasing manner”; most breeds represented, and all are well done. [Strangely unfamiliar dept.] G. Swope, GE pres., says US industrial leaders must recognize responsibility to furnish economic security to workers in present crisis. Sees eventual solutions in old age pensions, unemployment insurance, and cooperative employer-employee programs. M. Folsom, Eastman Kodak asst. treasurer, says has only had to lay off 2.5% of workforce thanks to careful planning of sales and manufacturing over the year. Editorial by T. Woodlock against “social” (govt.) control of business. Cites W. Bateson's belief that “nature has stratified” humans in all fields from poetry to golf, metaphysics, and contract bridge, with just a few outstanding individuals in each field; also cites Prof. Conklin's belief that human mental powers haven't kept up with complexity of civilization. If we don't have economic organization in hands of the best leadership, things will break down. Even with best leadership, all we can hope for is a slow, painful climb to ultimate mastery. Granted that present business leadership has only achieved moderate degree of control, there's no reason to suppose we can do better by counting votes. Editorial: The US should ratify the revised World Court protocol allowing it to withdraw if the Court decides to consider a case over US objections. Some say the US would be constrained from withdrawing by world opinion, but this is unlikely since the Court so far has consistently refused to decide cases without advance consent of all countries affected. Another objection is that the Court would make its own law and act as “super-government,” but this is also counter to almost a decade of experience. Main purpose of the Court is “to seek controlling moral principles and enunciate them ... as overwhelming persuasions upon the consciences of men”; if we fail to ratify now, we must “forget that we ever aspired to” moral leadership. House to take up $150M Emergency Construction bill; easy passage expected. Various other relief and tax bills seen having little chance of passage. House tackling appropriations bills; no major new legislation expected. Glass finance investigation to begin after holiday recess. Negotiations continue on NY City Transit unification, with no agreement yet. Matter becoming urgent as opening of new 8th Avenue subway approaches. Man's discovery of artificial heat in the form of fire dates from the dawn of civilization, but artificial cold in the form of ice only became commercially available in the late 19th century. US currently consumes 60M tons of ice annually for food preservation, 90% of it artificial; it has 1.9M home gas and electric refrigerators. First published record of US steelmaking was 917 tons in 1810. Scientists announce Germany's natural supply of helium is so small it would take 400 years to fill the Graf Zeppelin from it. Market wrap: Stocks declined further; rails down sharply while industrials offered more resistance. Bond market moderately active; US govts. firm; foreign govts. generally lower; corp. weak, particularly second-grade and convertible. Commodities mixed. Market observers now advise holding back buying orders until market demonstrates resistance above early Nov. lows. [Perils of long experience.] A veteran trader notes traders have suffered two bad years in a row; in all the years he's traded, has never experienced three bad years in a row, so forecasts a good 1931. One trader claims to have established tax losses three times this year on the same stocks. Outside buying said negligible in recent sessions. Several major rails hit new 1930 lows, with some hitting multiyear lows. Major industrials held above early Nov. lows. G. M.-P. Murphy & Co. see good year for tire industry in 1931 based on replacement demand. 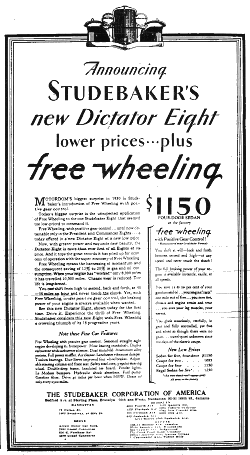 For 1930, only 1.4 - 1.5 tires per car were bought vs. 1.94 in 1929 and a 2.18 average in the 6 prev. years; some of this decrease represents deferred demand. Bank of America sees bottom of depression passed, “more prosperous business conditions in 1931”; however, recovery after prolonged depression starts almost imperceptibly, and as yet it's impossible to judge how early in 1931 it will begin. Commerce Sec. Lamont: “We have already weathered the worst of the storm and signs of stability and recovery are appearing.” Cites few wage cuts and strikes compared to earlier depressions. Rumors that 4-bank merger has been abandoned caused bad breaks in Public and Manufacturers; Bank of U.S. was fractionally higher. Fed. Reserve member banks weekly report for Dec. 3: loans on securities up $8M to $7.769B, “all other” loans down $19M to $8.747B. Time deposits were down $115M in the week, to $7.372B. [Strangely familiar dept.] Large new $400M Treasury offering at 1 3/4% - 1 7/8% well received, expected to be absorbed easily; observers see period of easy money continuing for some time. [Pretty huge revision.] Nat'l Auto. Chamber of Commerce revises estimate of Nov. car production in US and Canada to 124,000 cars (from original estimate of 146,185). US Steel expected to show increase in unfilled orders as of Nov. 30; considered “unusually satisfactory” since it would be the second monthly increase in a row. While Nov. production was below normal, much of the buying during the month was for future delivery. Agriculture Dept. estimated 1930 cotton crop as of Dec. 1 was 14.243M bales vs. 14.438M estimate Nov. 1 and 1929 actual crop of 14.828M. Cotton nevertheless down sharply, attributed to lower Egyptian cotton prices. Canadian report: Can. Bank of Commerce reports seasonal improvement continuing, but lacking the vigor of previous years.Freight loadings for week ended Nov. 29 were 55,384 cars, down 5,224 from prev. week and 6,029 from 1929. Wealth of prairie provinces estimated at $7.380B, 25.5% of Canadian total. World sugar producers meeting in Amsterdam reportedly making progress on stabilization plan. Attendance at 26th annual automobile salon (show) was up 25%, sales totalled $1.5M. Lancaster Mills plant, one of the leading New England textile properties with over 1M sq feet of factory floor and waterfront, to be offered at auction Dec. 10. NYSE seat sold for $236,000, down $11,000 from prev. sale; Curb Exchange seat sold for $92,000, down $13,000. Companies reporting decent earnings: Finance Co. of Amer. at Baltimore, Selby Shoe. W.K. Kellogg (cereal) says will spend record amount on advertising in 1931; increased advertising in 1930 was followed by highest sales in co. history. AT&T Oct. operating income was $2.821M vs. $3.484M in 1929; first 10 months $27.7M vs $33.2M. J.C. Penney Nov. sales were $18.937M, down 22.4% from 1929; first 11 months $169.2M, down 6.0%. Grand Union Nov. 4-week sales were $2.773M, up 1.5% from 1929; first 48 weeks $33.5M, up 9.5%. Studebaker Nov. sales were 2,441 cars vs. 1,839 in 1929. Follow the Leader - Comedy vehicle for Ed Wynn, “one of our most engaging comics,” who is onscreen most of the time “enacting hilarious scenes of nonsense,” occasionally assisted by Lou Holtz. 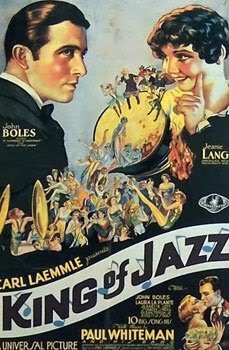 Romantic leads are Ginger Rogers and Stanley Smith; Ethel Merman sings one song. [Strangely unfamiliar dept.] Editorial: There's a near consensus that cutting wages now would be self-defeating, spanning the political spectrum from Pres. Hoover to NY State Industrial Commissioner Perkins. Unionized industries have generally adhered to this, as well as some non-unionized ones. However, this rule might need to be broken in cases where wage cuts are needed to keep jobs; this must be dictated by circumstances of each business. Editorial disagreeing with international law authority Judge J.B. Moore's stance that US should recognize Russia. The matter is one of policy, not law; US govt. believes recognition might threaten its own safety. Russia has explicitly announced aims for worldwide revolution, and that agreements it signs aren't binding. Washington report: After only a few hours in session, Congress has managed to upset business twice, with calls for investigation of cotton price decline and steel price increase. Action on repealing rail profit recapture seen unlikely this session or next, as is investigation of relaxing antitrust laws. [Strangely unfamiliar dept.] F. Perkins, NY State Industrial Commissioner, sees more even distribution of purchasing power among the masses as aid to preventing depression. To help stabilize industries, recommends reserve funds for individual industries and for public works, flexible working day, and distributing production over the full year. Editorial by T. Woodlock: Regulation of monopolies such as rails should be relaxed when new competition enters the field. Navy Sec. Adams asks pay raise for officers and enlisted personnel, noting pay has only increased 11% since 1908 while cost of living has more than doubled. Chicago citizens' group urges gift certificates be given for Christmas, rather than bonuses or other cash gifts, to stimulate trade. Univ. of Missouri has only laboratory in the US where radium is recycled from glow-in-the-dark dials of watches and clocks. Each dial contains 10-15 cents worth of radium, which is in a proportion of one hundredth of an ounce to several hundred pounds of paint. Oldest locomotive still in service is the “Ryde,” built in 1864 for the Isle of Wight Railway; has travelled over 1.5M miles in 65 years of service. Rich store of gold and silver vessels found in ruins of Pompeii by government investigators. Market wrap: Market moved down, with volume picking up as the brief session closed; oils, utilities, rails weak. Bond market active, irregular; US govts. dull, slightly lower; German govts. strong; prime issues steady; lower-grade issues weak with many new yearly lows. Commodities little changed. Week in review: Business news mostly unfavorable. Stocks worked gradually lower on very dull trading. Govt. bonds mostly firm with German rallying, but corp. bonds weak with many new yearly lows. Money markets dull with no material changes; continued easy conditions expected for protracted period. London continued to lose gold; reports of support for pound. Steel price rise declared. Oil production continued lower, but gasoline in storage rose and prices fell. Cotton continued weak. Grains traded in narrow range; Farm Board attracted attention with statement seen as admitting govt. stabilization couldn't succeed. [How could you invest in fly-by-night outfits like that? dept.] Trading favorites including J.I. Case and Coca Cola suffered bad breaks in Saturday session. [Word seems to be leaking out dept.] Bank of United States was off 2 1/2 in past week to a new low about 12; another bank in the previously reported 4-bank merger, Public National, was down 9 points in the week to about 70. (Other two banks in the merger are International Trust and Manufacturers Trust). [Market down a couple of days in a row - time for the more cautious commentary.] Upcoming news expected to be bearish for some time; unfavorable earnings reports, dividends cuts, disappointing department store sales. Bears expected to mount another test of early Nov. lows. Market observers now favor waiting since market is back close to early Nov. lows; support at this level would be considered positive. Last month's confidence that Dec. retail sales would be favorable has been replaced by a more conservative outlook due to poor Nov. sales by leading stores. Railway declines in traffic have overshadowed favorable news in Hoover's mention of consolidation and ICC's recommendation to end profit recapture. Market observers worried by decline in rails to below the Nov. 10 low; liquidation in rails has previously indicated rallies were ending. Observers still see market technical position as favorable; brokers' loans continued down, liquidation has apparently been confined to individual weak spots, and trading has been very dull. Short interest has increased in the past few sessions, based on demand in the loan market. Market decline partly attributed to tax loss selling. One trader took tax losses in Sept., bought back 30 days later, and has now taken another round of tax losses. Tire industry sees increased demand next year based on replacement sales. Total internal revenue collections for fiscal year ending June 30 were $3.040B vs. $2.939B in 1929; expense for administering internal revenue laws was $34.352M, or $1.13 per $100 collected, vs. $1.17 in 1929; income tax collected was $2.410B vs. $2.331B; tobacco tax was $450.3M vs. $434.4M. Treasury to offer $400M in certificates Dec. 15 at record low rates of 1 3/4% - 1 7/8%. Irving Fisher's index of 200 commodities for week ended Dec. 5 was 80.7 vs. 80.6 previous week and vs. 92.7 a year ago. Wholesale price of gasoline in Chicago market has declined steadily recently, reaching 4 1/4 - 4 3/4 cents at end of the week. Midcontinent Oil and Gas Assoc. (oil industry group) meeting endorses proration (production control), protective tariff on oil, redistribution of work to increase employment. Sears-Roebuck sales in Nov. 4-week period declined 20.8% from 1929, but R. Wood, pres., looks for “storm of buying after the present calm.” National Tea Nov. sales declined 10.8%. Woolworth expects good Dec., full-year earnings close to 1929 though sales will probably be lower. Silver prices have declined over the past few weeks, with observers believing new record lows are imminent. So far lower prices haven't affected production enough to materially improve the market; this may be because silver is mostly a secondary product. Chinese currencies (Hong Kong dollar and Shanghai tael) have been weak as a result. T. O'Connor, US Shipping Board chair., looks forward to the day US can build super-liners as large as any afloat, recommends changes in ocean mail rates to make it possible. Los Angeles Nov. building permits were $4.784M vs. $6.079M in 1929; first 10 months were $68.8M vs. $89.0M. Butter futures continued to soften, though eggs were firmer. Alaska's vast distances can be appreciated by overlaying it on the continental US. If it were placed with the Northern tip touching the US-Canada border west of Lake of the Woods (about halfway across the US), part would reach the East Coast between Georgia and S. Carolina, while another part would cross over Southwest New Mexico into Mexico, and the Westernmost part would enter the Pacific in Southern Calif.
Comprehensive total of all loans on securities is available once a quarter; peak was $16.974B on Oct. 4, 1929; this declined to $11.521B on Sept. 24, 1930, and is estimated at $10.5B now. This includes loans by banks to non-brokers and loans to brokers by non-banks. Total bank loans on securities are currently $7.761B, which is actually higher than on Aug. 30, 1929 when the market was close to its peak. “Due to the lack of demand from brokers and business, banks have been forced to seek employment for their funds in investments.” Many have criticized this heavy buying of investment securities by banks in the past year as risky. Bank defenders point out there's been a large increase in deposits too, so the ratio of investments to deposits is still relatively small. Fed. Reserve member banks weekly report for Nov. 26: loans on securities down $77M to $7.761B, “all other” loans down $86M to $8.766B. Investments held by banks are up $400M in the past 8 weeks and $1.4B since start of Oct. 1929.
which will provide the basis for some serious blathering. The interesting thing here is the fact that banks remained so exposed to the markets, even after the extensive liquidation that observers thought had taken place at the time. The answer to the following question would no doubt take deep study, but I'll ask it anyway. Note that the bear market at this point is still a fairly run of the mill one, down a bit over 50% from the peak and only down about 35% from where it was in mid-1929, before the final blowout rise from 300 to 380 that summer. Is it coincidental that the bear market doesn't become a true outlier until the big banks start blowing up around this time? And, to make a feeble attempt at modern-day relevance, might it be possible that the big banks today, being unwilling or unable to find outlets in lending (as credit has again been shrinking as it did then), remain a touch too exposed to the markets? You would certainly hope that the banks, after their death-and-artificial-resuscitation experience last year, would be cutting back seriously on risk. But is this in fact happening, or is a horde of manic traders at banks and the hedge funds they lend to taking one more desperate shot at, in the words of manic trader par excellence James J. Cramer's latest book title, Getting Back to Even? Unfortunately, it would probably be difficult to answer this question by studying bank financial statements; there are so many innovative ways banks can keep stuff off the balance sheet these days, not to mention the still almost completely uncontrolled and uncounted ability to take on market exposure using derivatives. Might there be some other signs we can look for? Well, one subtle one might be the ginormous trading profits reported by almost every big bank in Q3. But how about a more holistic approach? Lets look at market movements over the past few months. Stocks - up; Low-quality stocks - up even more; Bonds - up; Low-quality bonds - up even more (amazingly, spreads between corporate bonds and treasuries are back to mid-2007 levels); Commodities - up; Dollar - down; Gold - up; Implied volatility - down (this is a number that correlates with the cost of buying options on stock movements, i.e. buying insurance against stocks going up or down - so this insurance has been getting cheaper). Now, maybe there's a single rational belief about the economic future that all these market movements, taken together, are expressing. However, all the attempts I've seen are like Silvio Berlucsoni trying to wear a Speedo - no matter how you try to make everything fit, a couple of awkward bits wind up poking out and ruining the picture. Suddenly, a whole bunch of trends start to fit. Stocks? Check. Especially low-quality high-beta tradeable stocks? Check. Bonds? Check. Especially low-quality marked-down bonds that you'd make a killing on if they bounced back? Check. Commodities? Check. Gold? Check. Non-dollar currencies? Check (anti-dollar carry trade). Implied volatility down? Check (as Lowenstein noted in When Genius Failed, there is a class of quantitative traders who seem inexorably drawn to selling volatility). If this hypothesis is true, a couple of practical consequences follow. First, it suggests that when things do go into reverse, almost everything goes down at once; gold, commodities, non-dollar currencies, bonds, stocks etc. - nothing is a shelter from the storm and the only thing you want to be long is panic. Of course, this result in itself clearly makes the hypothesis impossible as it's ridiculous for all these anti-correlated things to all go down at once; in fact, that would clearly be a thousand-year flood, since it hasn't happened for around a year. Second, it's probably futile to try and figure out when things go into reverse based on economic predictions, since it depends more on when some significant part of the common liquidity pool feeding everything springs a leak. In fact, I wouldn't be surprised if the rallies continue on bad economic news and reverse when the economic news is looking better. The turn may come when some central banks decide to act, but I think the more likely possibility is that it's triggered by some fairly small looking default ... that causes a scramble to get out of linked assets or derivatives ... that causes a margin call or two ... and we're off to the races again. Washington report: Projected $180M deficit not considered alarming, may even be beneficial in restraining Congressional spending. Proposed cotton investigation and Muscle Shoals legislation continue as longtime regular features of Congressional sessions. Project to combine Army and Navy air services likely to be opposed by both branches of the military. Anti-Prohibitionists to keep agitating to lay groundwork for next session. [Strangely unfamiliar dept.] Treasury Under-Sec. Mills defends national debt reduction program of past decade as benefitting current generation; notes interest on nat'l. debt declined from $1.024B in FY 1921 to $603M in FY 1931. [It's a shame we don't get these deep philosophical discussions on newspaper front pages anymore. New York Post excepted, of course.] Editorial by T. Woodlock: In his 1918 book “The Downfall of the Western World,” Spengler suggests our civilization may be near its end, with a new “Kultur” to arise; some see Soviet Russia as a likely candidate. Soviet challenge to the West has two aspects, economic and “ethical.” Strength of the economic challenge is uncertain; “nothing in human experience to date warrants the belief that a 'collectivist' form ... is likely to prove the most efficient competitor in business and industry.” A more interesting question may be whether the Soviet philosophy succeeds - one that is “amoral,” materialistic, determinist, and completely dismissive of religion. It's interesting that this determinism is more in tune with 19th century science, whereas modern science embraces nondeterminism and possibly even free will. German Pres. Von Hindenburg issues decree making Breuning financial reforms effective. Financial authorities approve; balanced budget seen assured despite high unemployment. Berlin stocks maintain better tone; Germany joins France in drawing gold from England. Editorial: Farm mortgage burden is too heavy. Total mortgages are about $9.5B, up from $7.9B in 1920. This is only about 22% of the total value of all farms, but current low earning power makes 6% mortgage interest take about half of net income. Farmers unwisely went deeper into debt during a period of rising prices. It's essential they get out from under this load; if they ever do, it will be by more efficient production. Calif. Supreme Court decides unreasonable waste of oil and gas resources may be prohibited, though application of the law is expected to be complex. New smaller US currency bills expected to save $2M annually, $400,000 in paper alone. Telephones were first installed at the White House in 1879, at the end of Rutherford B. Hayes' term. Records show Hayes rarely used the phone, then regarded as a “new toy.” Hoover is the first President to have a telephone at the desk in his executive office. Pan American starts bi-weekly air service between Miami and Panama via Jamaica and Cuba; route involves longest regularly scheduled water “hop” of about 700 miles between Kingston and Cristobal. Pan-American is also operating an 8,000 mile airmail route between New York and Rio de Janeiro. [This is pretty cool.] Alaska's vast distances can be appreciated by overlaying it on the continental US. If it were placed with the Northern tip touching the US-Canada border west of Lake of the Woods (about halfway across the US), part would reach the East Coast between Georgia and S. Carolina, while another part would cross over Southwest New Mexico into Mexico, and the Westernmost part would enter the Pacific in Southern Calif. Experts predict a “supergas” system is possible linking all US gas mains for long-distance transportation of natural gas. Cuban newspaper El Siboney reports Professor G. Claude, French scientist, will construct $4M thermodynamic plant at Santiago capable of generating 25MW of electric power from the sea. NY Emergency Employment Committee has put over 15,000 unemployed heads of families to work, of whom over 1,000 were women with dependents. Due to unexpected demand for jobs, goal for the committee has been raised from $6M to $8M. Market wrap: Stocks weak in morning, particularly rails, but rallied in late afternoon; uptrend strengthened in final dealings. Bond market more active; US govts. slightly lower; foreign mostly steady; corp. highly irregular with many new lows. Commodities somewhat weaker. [Ay Chihuahua! dept.] E. Herr, Westinghouse VP, points to strong position of financial institutions, large gold supply, low inventories, and efficient credit and transportation; “no one can doubt that the present depression in business will soon be over and that still greater progress is before us.” Attributes 1920's prosperity to war's destruction in Europe; depression is due to readjustment to their recovery. Calls for govt. and business to speed up planned work in periods of unemployment; while depressions occur regularly, they're becoming less severe and shorter over time. Short interest reportedly smaller due to recent covering; borrowing demand for stocks has been lower. Brokers continue to report little new outside buying, though there has been considerable switching between stocks. Recent efforts to stabilize various commodities considered encouraging development in the long term. Farm Board annual report says stabilization hasn't worked as hoped in spite of extensive efforts, opposed to further operations except in emergencies. Sees main future solution in production control and cooperative marketing organizations. Outlook for coffee growers considered poor due to free-trade policy of Brazil Pres. Vargas; current world consumption is less than 25M bags annually, while Brazil currently has 27.2M surplus bags due to previous withholding policy, and forthcoming worldwide crop is estimated at 32M bags. Traders discounted relatively good car production figures in Nov., attributing them to early production of new models; further production decline seen in Dec.
Edsel Ford says promiscuous price-cutting on well-established articles is dangerous, but retail prices as a whole must adjust themselves to recover from depression. F. Carlisle, Niagara Hudson Power chair., points out gas and electric cos. will spend over $1B for expansion in 1931, and pay $400M annually in taxes; this revenue would be lost under public ownership. [Interesting information - another indication there's still quite a bit of leverage in security positions.] Comprehensive total of all loans on securities is available once a quarter; peak was $16.974B on Oct. 4, 1929; this declined to $11.521B on Sept. 24, 1930, and is estimated at $10.5B now. This includes loans by banks to non-brokers and loans to brokers by non-banks. Total bank loans on securities are currently $7.761B, which is actually higher than on Aug. 30, 1929 when the market was close to its peak. Security loans by NY City banks to non-broker customers (considered “strong hands”), after rising since mid-Sept., have declined slightly in the past 2 weeks. Currency in circulation has increased $189M since Oct. 29; this is partly a normal seasonal move though this year it may also be due to the recent bank failures, which in many cases were preceded by heavy withdrawals. Fed. Reserve has been buying bankers acceptances and govt. bonds to keep money rates low. Bradstreet's and Dun's weekly reports note moderate improvement in retail trade, stimulated by colder weather, approaching holidays, and “sales”; however, industrial activity is slower and retail remains below previous years, especially in Midwestern and Southern areas affected by bank failures. New bond offerings in Nov. were $203.0M vs. $416.6M in Oct. and $105.2M in Nov. 1929; first 11 months were $5.045B vs. $2.957B. Rail report: Class 1 rail employees in mid-Sept. were 1.486M, down 1.8% from Aug. and 14.9% from 1929; total pay was $208.7M, down 3.2% and 15.8%. Total freight car loadings for 1930 estimated at 45.7M cars; would be below 50 million for first time since 1924 and lowest total since 1922. ICC agrees to postponement of lower Western grain rates to April 1, but probably not beyond. Engineering News-Record reports Nov. construction and engineering contracts were $189.3M vs. $242.9M in 5 weeks of Oct. and $237.7M in 4 weeks of Nov. 1929. Cleveland employment index Nov. 30 was 87.4%, down 4.6% in Nov., and vs. 108.8% in 1929. Detroit industrial employment index Nov. 30 was 75.8% vs. 79% Oct. 30 and 93% in 1929. Sales of radios reported lower than expected; Radio Corp. has cut production severely, and leading stores have already announced discount sales. Egg and butter prices continue to drop, with December egg futures dropping to the lowest level in 50 years. Company reports since Oct. 1: 245 companies reported higher earnings vs. 1929 and 409 lower; 695 dividends unchanged, 67 increased, 108 cut. Companies reporting decent earnings: General Mills, Adolf Gobel, Inc. (sausages, deli products).